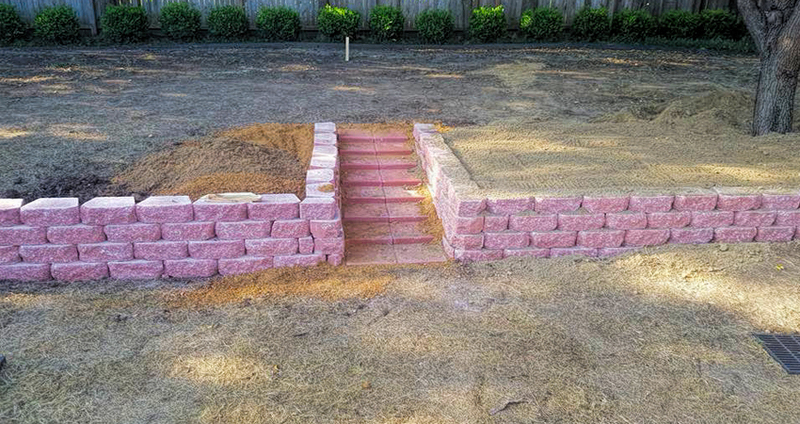 Each project we work on allows for a new and beautiful creation. 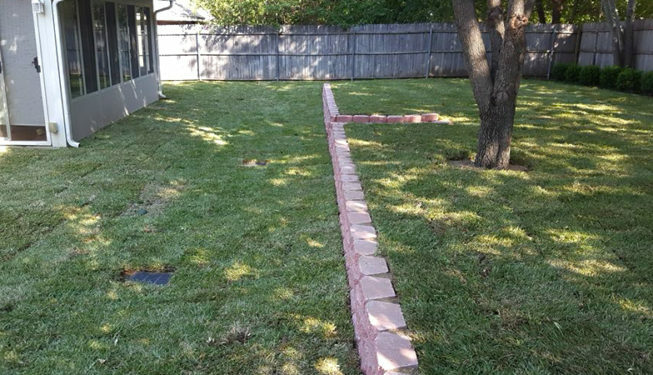 We work closely with our clients, listening to your wants and desires, and lending our knowledge and experience to provide a finished product you will be proud of. 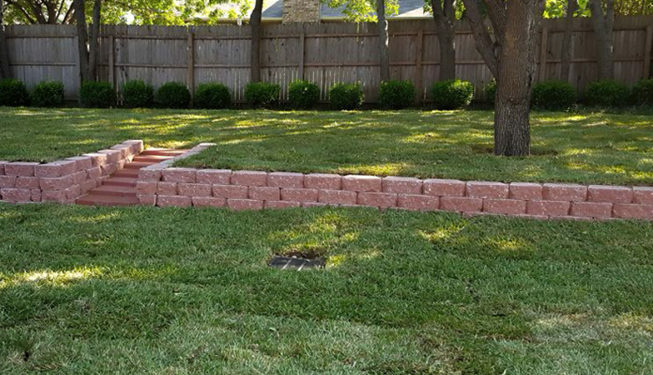 We want to hear your vision. 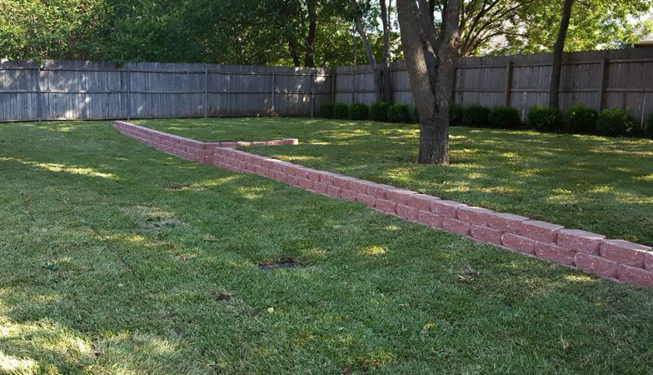 Tell us what you like, what you don’t like or want. 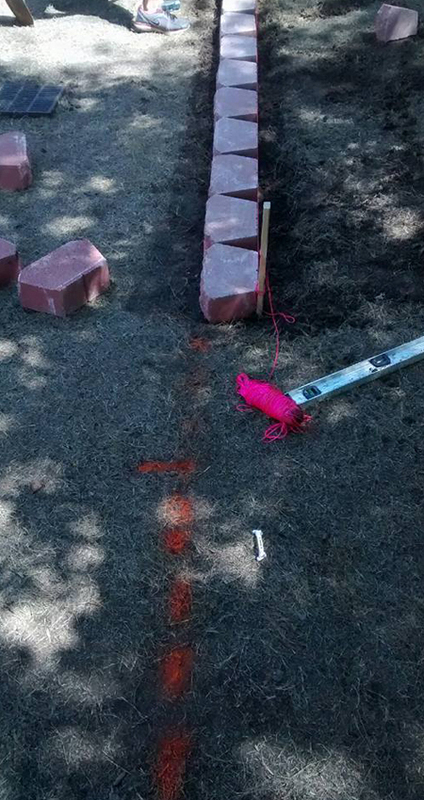 We work with that knowledge, put together a time-line, a schedule, and then get to work! 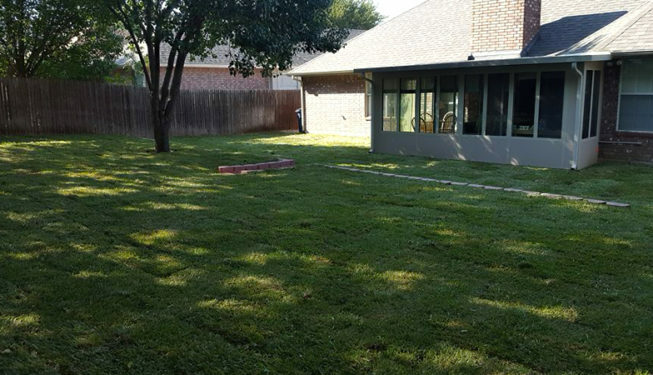 For this project, existing turf/grass was removed. 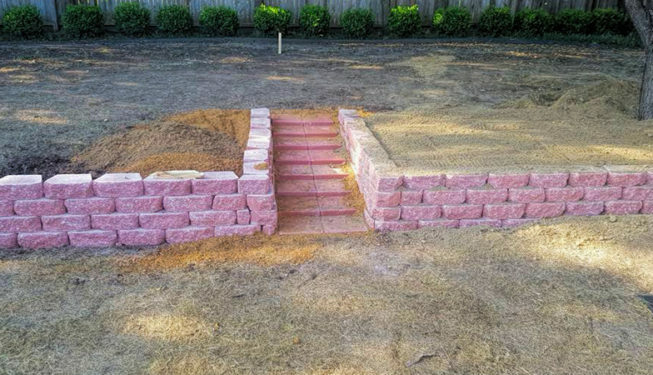 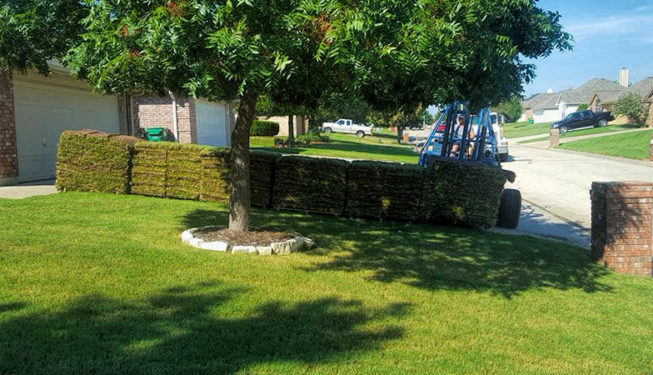 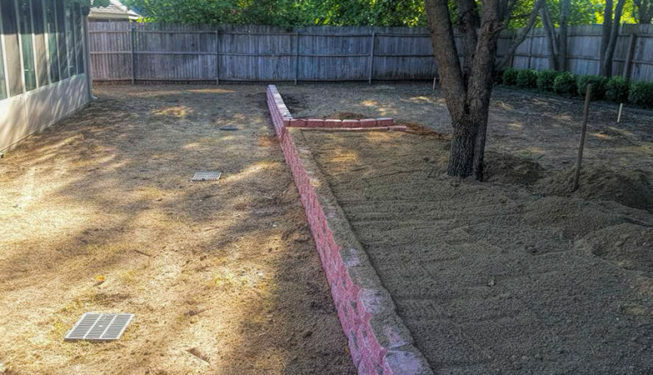 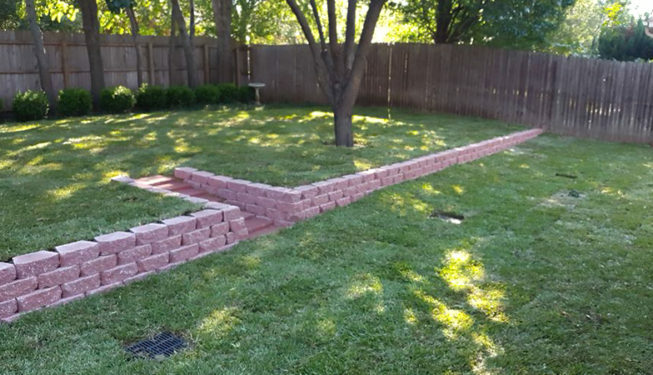 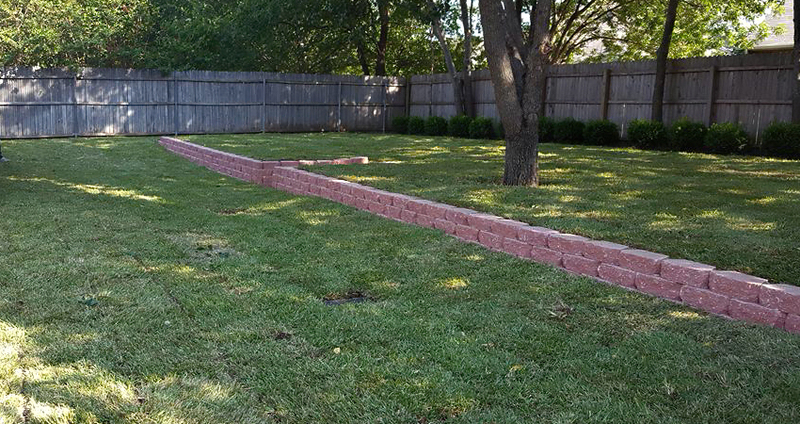 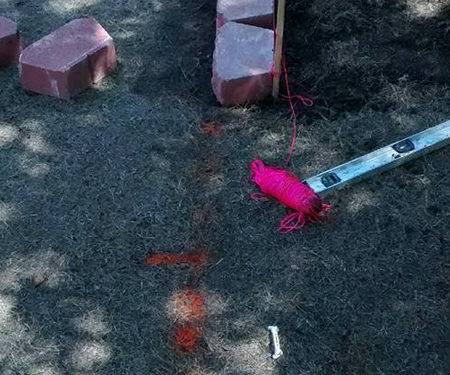 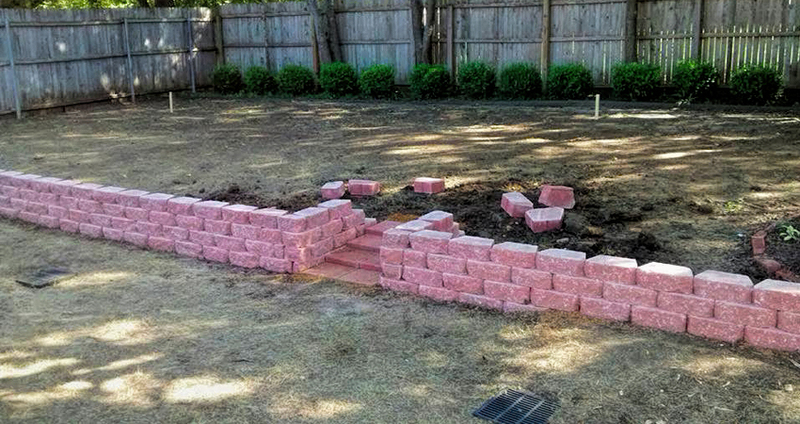 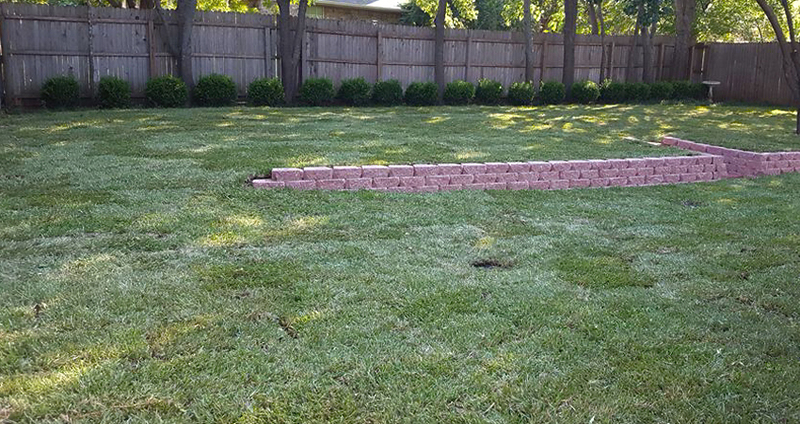 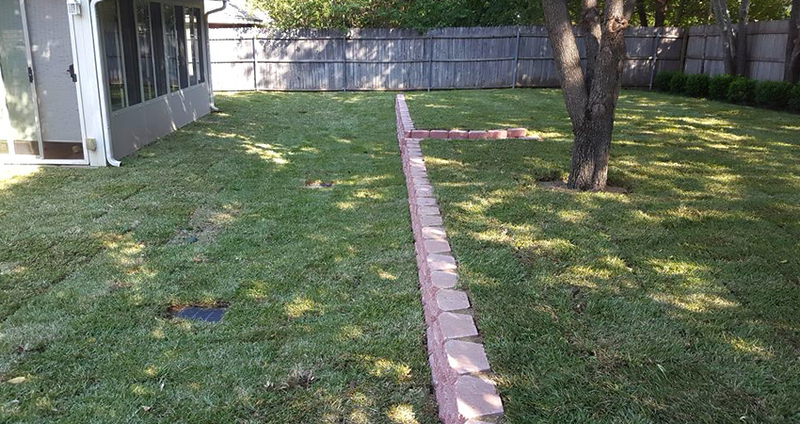 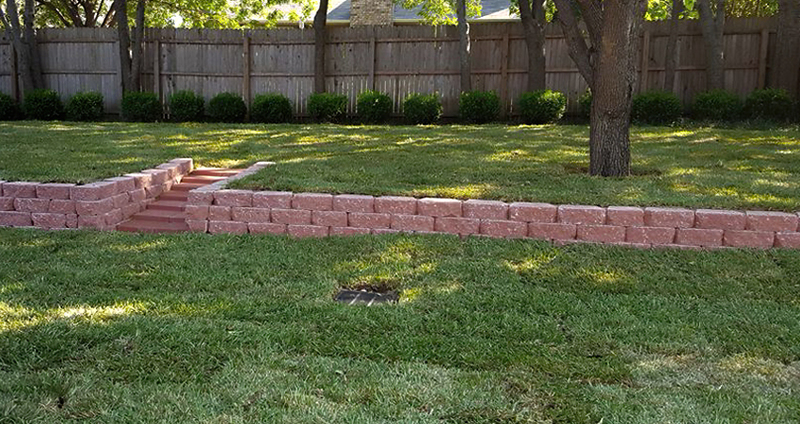 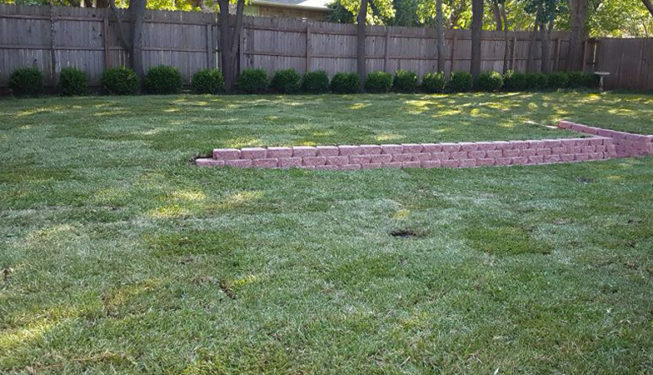 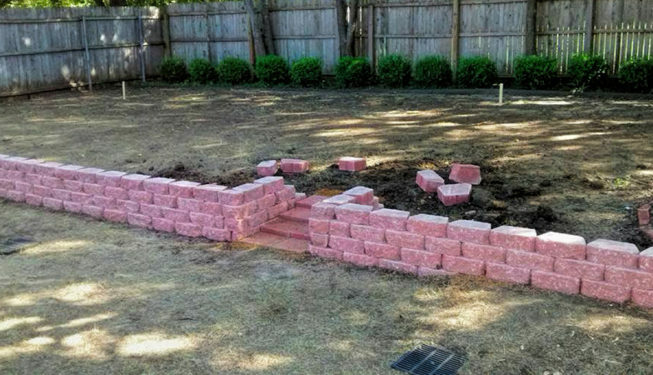 The client selected the retaining wall brick to be used, and the work began. 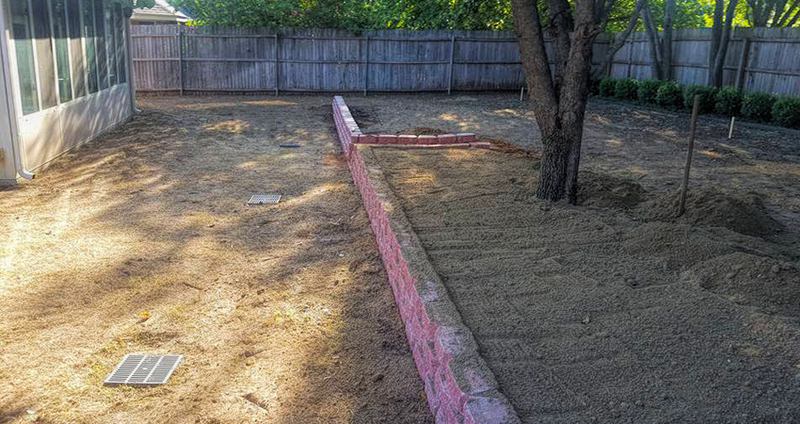 After laying the retaining wall, with steps to the upper back-yard area, 15 yards of topsoil were brought in to back-fill the wall. 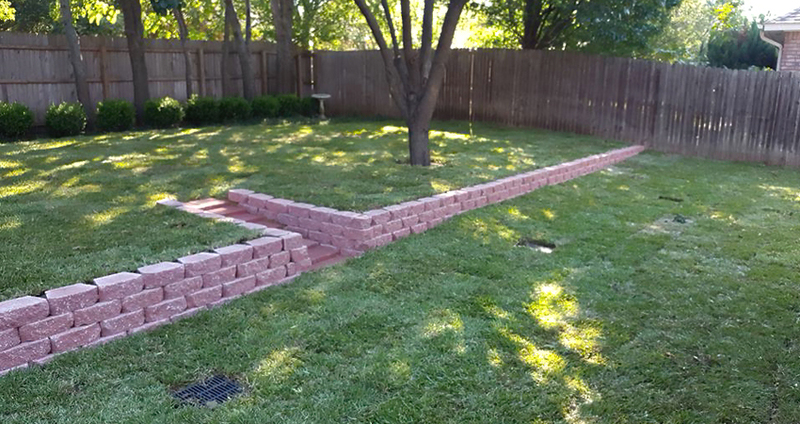 After additional grading and drains were completed, 2500 sq. 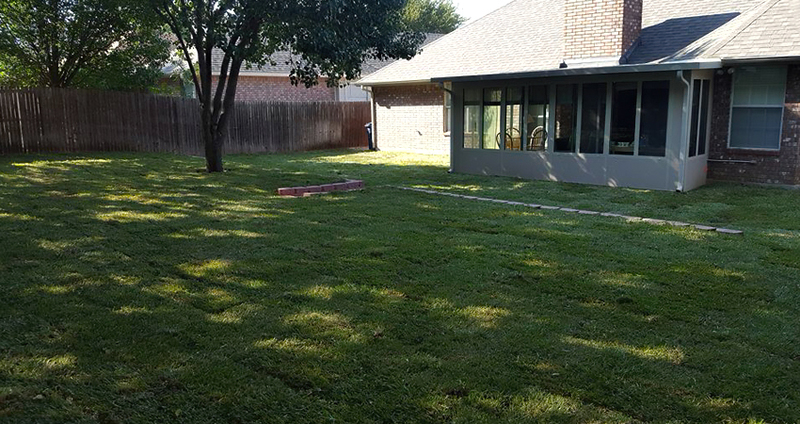 ft. of St. Augustine sod completed the project.